May is Mental Health Month. 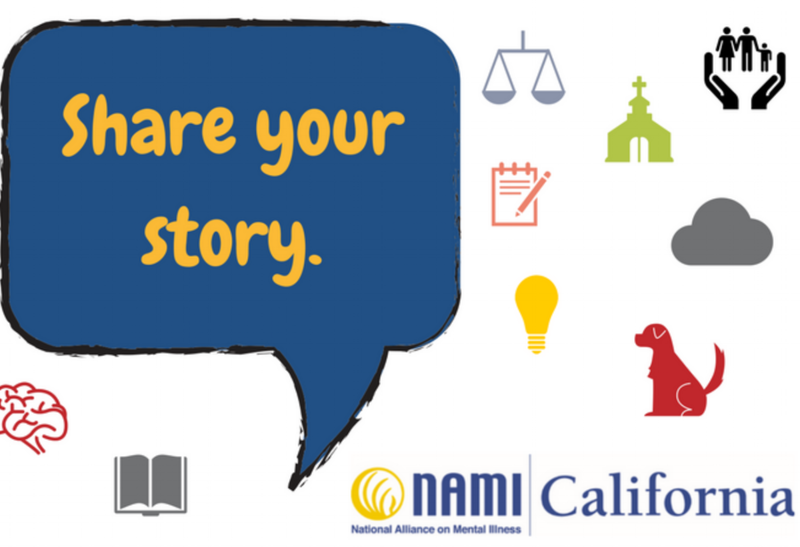 In honor of Mental Health Month, NAMI California is celebrating the resilience in recovery stories of NAMI members and advocates and all persons living with a mental illness. Want to get involved? Share your story with us, attend a legislative advocacy day at the Capitol, or visit our #31DaysofRecovery blog to read stories of resilience and recovery. In honor of Mental Health Month, NAMI California will be celebrating the resilience in recovery stories of NAMI members and advocates through our #31DaysofRecovery blog and social media posts throughout the month of May. We invite individuals with mental illness and their families to join us by sharing their harrowing, yet inspiring recovery journeys. Please join us for Mental Health Matters Day, organized by Mental Health America to build support for Mental Health Awareness with our partners and the general public outside the Capitol on Wednesday, May 23rd. The event will consist of various speakers, entertainment, resources and an opportunity to spread awareness. Keynote Speaker Darryl “DMC” McDaniels from Run DMC will be joining us to share his story of lived experience with mental illness. SB 906 would establish a Peer, Parent, Transition Age and Family Support Specialist Certification Program to be administered by the Department of Health Care Services. Peer providers who use their life experience with mental illness and recovery, coupled with skills learned through formal training, have proven a valuable addition to service delivery in mental health settings. Research demonstrates that use of qualified peer support specialists has measurable benefits to clients, including reduced hospitalizations, improved functioning, alleviation of depression and other symptoms, and enhanced self-advocacy. We're highlighting stories and events that demonstrate the resilience in NAMI advocates and their journeys of recovery. Follow our blog to read a new entry each day this month!